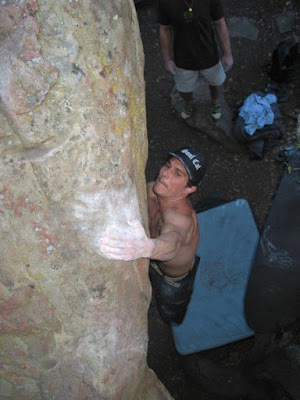 This blog is about rock climbing, mainly pebble wrestling, in and around Northern Colorado. I was born in Telluride, CO transplanted to Southern Cali when I was 12 and knew Colorado would always be my final home... so 22 years later I'm back for good... and PSYCHED! 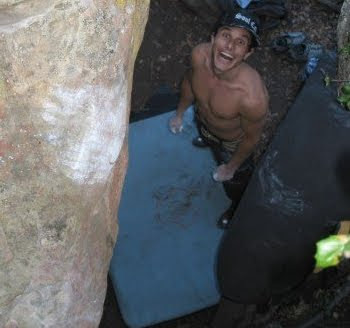 Bouldering is a lifestyle. 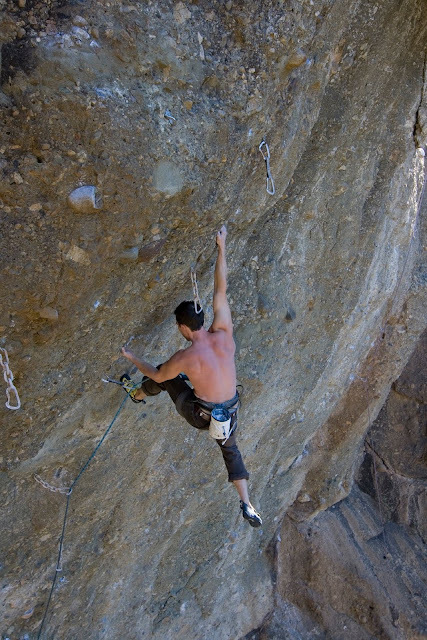 This blog documents my lifestyle as a boulderer... I hope you enjoy. I lived in Santa Barbara for a year and half. It was good times, bouldering on sandstone and sport climbing with Phil Requist and crew at the infamous Owl Tor, a completely euro-style manufactured sport cliff. 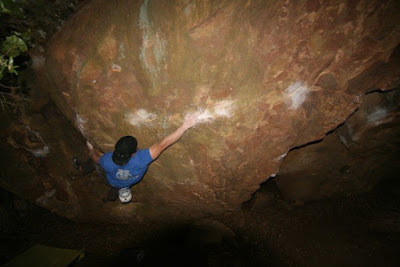 The main bouldering areas include The Brickyard, Lizard's Mouth, Pine Mountain and a small but quality city park called Skofield Park. My favorite of the four is The Brickyard... If you are in the area, be sure and pick up Bob Banks' guide Ocean's Eleven. Although a bit dated and rather sandbagish, the guide is a great read and will get you where you need to go. 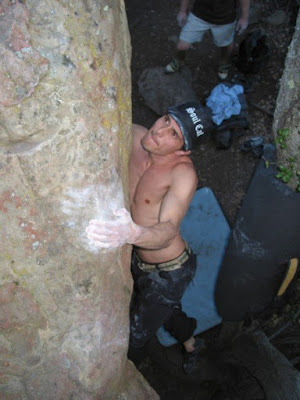 During my year of climbing at The Brickyard, prior to a major fire that closed the area for the last 6 months I was there, I had my eye on a new link "line" which traversed the entire south face of the Dancing Outlaw boulder. The line sit starts on the far left arete and fires through the main power crux, a bit harder for the shorties, and into the classic Akiba's Prison, V9. 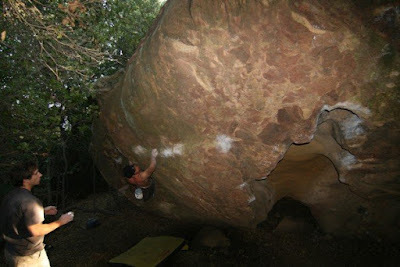 Akiba's starts as for Dancing Outlaw, V8 and finished up one of the best lines at The Yard, Smooth Criminal, V7. Me on another punt attempt, falling at the last move, while Dano looks on prior to snaking the FA. With the number of moves and lack of consensus, the line could come in at V11 but considering the sandbag tradition that is Santa Barbara, the V10 grade keeps it real.